Love the look of watercolour art but don't even know where to start creating your own? Our expert Karen will take you through the basics of inking your stamps, adding water, creating clusters and groupings, and arranging in containers. Perfect for the beginner, or the experienced watercolour stamper looking for a few new tips and more practice. 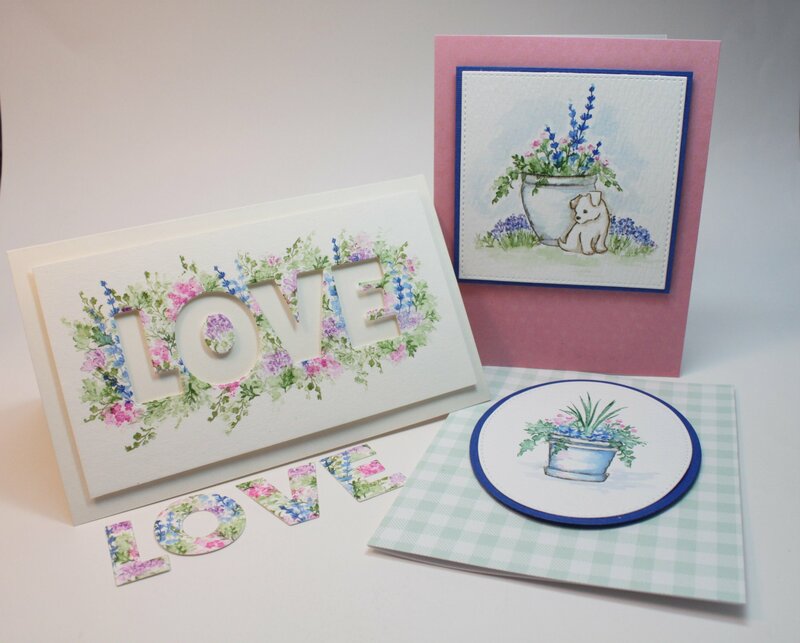 Class fee includes two Art Impressions stamp sets: Flowers 2 and Foliage 2, almost a $50 value. If class is full, please add yourself to the wait list. Additional sessions may be added. Materials Included: All supplies provided, including two Art Impressions stamp sets: Flowers 2 and Foliage 2, almost a $50 value. Requirements: Please bring your own paint brushes, a selection of smaller acrylic stamping blocks (2x2 or smaller) plus 1 large one. Having a selection of waterbased markers (Marvy, Tombow, Tim Holtz) is also helpful, but a class set will also be available to share.